The St. Louis Federal Reserve Bank will no longer publish the chart showing excess reserves of commercial banks. I can say little about why this decision was made. 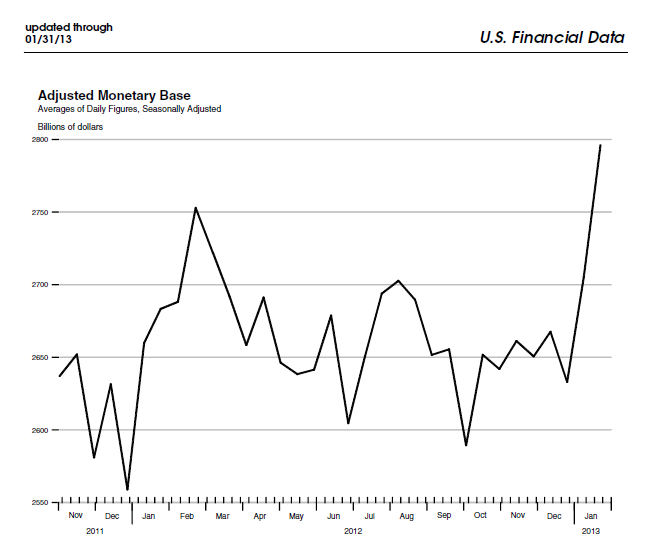 I suspect the Fed wants to draw minimal attention to the fact that most QE money goes into excess reserves. Why is this important? It shows to what extent the Fed’s different batches of QE are stockpiled by the commercial banks rather than pumped into the economy in the forms of loans. When the Fed increases its balance sheet, the general rule is that the money will cause the money supply to increase because of fractional reserve banking. However, after in the 2008 crisis, the M1 Multiplier tanked, meaning that each dollar added to the monetary base added much less to the money supply (M1). The Fed has expanded its monetary base dramatically, but the M1 Multiplier makes us wonder where all that money went. The excess reserves chart shows us where most of the QE money goes. As QE continues, we will have to assume excess reserves are rising if the M1 Multiplier remains extremely low. If the multiplier begins to rise, then more new money is entering the economy, not being added excess reserves. If M1 begins to skyrocket, then that means excess reserves are being loaned out. There’s been a lot of talk on QE3 and not a lot of action. At least not in what was reflected in the net expansion of the monetary base. That is a very notable change, because last year the Fed’s policy was actually deflationary. For the first time since the end of QE2, we are seeing Bernanke and the gang really firing up the presses, without a corresponding sell-off in other assets. The Fed is expected to add about $1 trillion dollars to the economy this year. It is unlikely to cause a surge in monetary prices. It will help bolster the price of US debt and mortgage-backed securities. But as with previous QE’s, I expect commercial banks to stockpile this newly created money in their excess reserves. This will not help the economy — it will merely sustain the grossly distorted world economic system a little bit longer.